They say "A picture is worth a thousand words", when it comes to SAP Performance management, or any performance management for that matter, I tend to agree - I'm a very visual kinda guy! I like lots of charts because I can visually correlate many metrics and spot problems much faster than I can do with numbers. Well, our R&D team have out-performed themselves this time as I'm pretty excited about their latest feature enhancements. 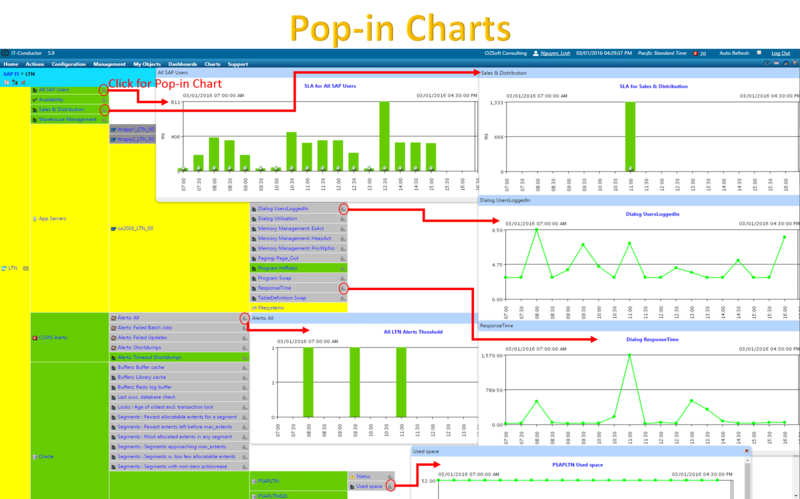 I've gone nuts over pop-in charts to diagnose problems, like I could never have done before so easily with any SAP monitoring tools such as those I mentioned in the SAP Performance Tools Comparison.